Kitchen worktops or Kitchen countertops as they are sometimes known as are amongst the most important parts of kitchen design. We here at Silke partner with the most professional and experienced fabricators in London to design and bring a huge variety of beautiful concepts to life. Because quite simply, you deserve to have a brochure-style worktop in your kitchen at a price that won’t break the bank! Silke specialise in floating, suspended and built-up breakfast bars and can handle any shape, at any size; if you can fathom it, we can work with them to create it. A number of quality surface materials can be catered for, including quartz, granite, and glass, alongside more specialised options such as hard woods and Corian®. The only limit to our kitchen worktops (as cliche as it sounds) is your imagination; and we can help there too! Our surfaces are easy to clean and maintain, leaving you more time to cook and entertain without the fuss. 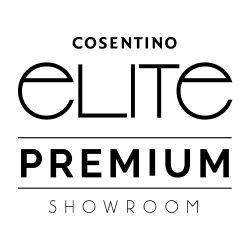 As a Cosentino Elite Premium supplier, we have a significant advantage over a number of other suppliers and designers in the business. We are always coming up with and suggesting crazy yet beautiful ideas to make your kitchen stand out above the rest, taking on a life of its very own. Whether it’s Dekton, Silestone, or even Sensa; the world of surfaces are at your finger tips. And hey, if you want something extra unique? We have a great relationship with SPEKVA, who are world renowned for their absolutely beautiful genuinely Scandinavian wooden creations. This material is hardy, aesthetically pleasing, and is especially nice when paired with a quartz worktop to form a truly one of a kind, Japanese influenced breakfast bar. With so many choices available to you, you’ll be hard pressed to choose a surface which best suits your design. Thankfully, our design experts have your back, as they pride themselves on their ability to guide you to the right shapes and colours for a stunning yet practical kitchen. Be sure to visit our showroom, where you can see, touch, and feel many of these surfaces in person. If you require any further information or have any further questions to ask us, please get hold of us through our contact page.